Combine movies and trivia games with Scene It magic. The Harry Potter Scene It interactive DVD board game is a magical blend of modern technology, classic board game skills, and wizarding trivia sure to challenge any muggle family. 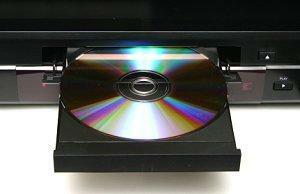 Scene It is a DVD-based trivia game created by Dave Long and distributed and marketed by Screenlife. The original version of the game included trivia questions based on pop culture such as music, movies, television shows, commercials, sports, and other noteworthy cultural events. As the game's success grew more profound, however, players increasingly sought more challenging questions and specialized versions to test their knowledge. This has led to a barrage of specialized Scene It game versions, including Disney, James Bond, Sports, Friends, HBO and other variations that utilize the same basic play strategy but delve deeper into popular topics. Whether players are challenging the original game and its wide range of categories or the more specialized game versions, the basic play remains the same. Each player (or teams, if desired) selects a token and attempts to maneuver that token around the circular game board and into the winner's circle by correctly answering various questions. Two dies are used in the game, one to determine the number of spaces a player can move during each turn and the other to determine the type of question they must answer. All Scene It games are recommended for at least two players and playing time can range from 30 to 60 minutes depending on players' trivia expertise. A shorter game version can be played by adjusting the game board if to a more compact size. While the recommended age range for the Scene It games is from eight years old and up, any movie fan with sufficient familiarity of the game's categories can enjoy the challenge. Be familiar with the Harry Potter books but recognize that the books can differ significantly from the movie versions. The popularity of the Scene It games and the Harry Potter universe combine to make this game easy to find, though not all stores offer both game versions. Prices range from $20 to $40 per game depending on the version and whether or not it includes the collector's tin, though online auction shoppers may be able to find the game significantly cheaper. 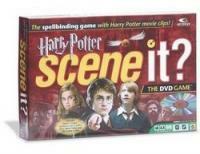 Popular retailers offering the Harry Potter versions of Scene It include Amazon.com and Toys R Us. It can be a challenge for families to find board games able to compete with the attraction of high tech video games, but the Harry Potter Scene It games offer both modern technology and classic fun for everyone to share.